We’re all concerned with our fragile Keys environment and the impact of Climate Change, but often struggle what we can do to help. Our transportation choices have a big impact and there are lots of options for individuals as visitors, residents, employees, business owners, parents, etc. to make choices to positively impact our Keys environment right now, and for future generations. The Monroe County Board of County Commissioners Climate Change Advisory Committee (CCAC) is working with many agencies to find better options. Transportation is usually a lively topic for conversations in the Keys – when there’s one arterial and it’s shared by many different constituents, it’s bound to lead to various emotional responses. Sadly, it seems there’s more accidents and injuries as the crowded roadway is shared by everyone in the Keys, but there are some realistic ‘win-win’ alternatives to help with both our traffic challenges and desire to protect our environment. FDOT, TDC, Municipalities and others study the traffic flows to continually improve transportation experiences. 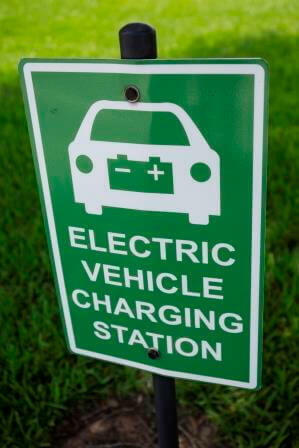 Alternatives to personal vehicles – The industry trends provide hope for our needs in the Keys. Our vehicles are getting more efficient and environmentally friendly with hybrid and electric vehicles using less fuel and emitting less greenhouse gas (GHG) emissions. Alternatives are reducing the number of vehicles in the Keys. For instance, ride share capabilities (e.g. Uber or Lyft) allow you to easily arrange for personal door to door service from your smart phone in a cashless transaction – in crowded environments, like Key West, you can affordably travel for possibly less than the cost of parking. Try it, you’ll like it, and see why the world has been taken by storm by this technology enabled approach to travel and reduced the need/use of rental cars. The future also holds much promise with autonomous vehicles and, as seen with similar early implementations of carshare services like Zip Cars, you may be able to have a car brought to you via your smart phone – something that may alleviate your need for a car or second vehicle when you only use a car when you need it! Mass transit to the Keys – ok, we don’t have the Flagler Railroad anymore and we’re not a major metropolis, but we do have some good options to consider which can also be less expensive than personal vehicles and reduce roadway congestion. Some offer door to door service from airports (see Keys Shuttle). Others offer low cost and comfortable options from airports to various stopping points (see Go Bus, Miami to Key West Shuttle). There’s also popular options for commuters from the mainland (see Miami-Dade Route 301). There’s even Ferry service from Ft Myers and Marco Island directly to Key West. An excellent resource is the TDC (Tourist Development Council) ‘how to get there’ website on transportation options. Mass transit within the Keys – within the keys there are improving options for everyone (see Lower Keys Shuttle and the real-time bus maps) which provide for BOB (Bike on Bus) options. There’s also the new, and free (always a good option), Duval Loop bus with real time status. Hopefully the success of that service will result in further expansion within Key West and other parts of the Keys. There’s exciting proposals for an Intermodal Transportation Hub to further improve on tine, options, and costs to travel in the Key West area. Islamorada and Marathon areas are also exploring options to improve transportation and reduce congestion. A bicycle rider using a bike lane. Alternative Transportation – here in paradise, we’re lucky to have great weather so much of the year to enable a lot of options that most cities only enjoy on a limited basis. 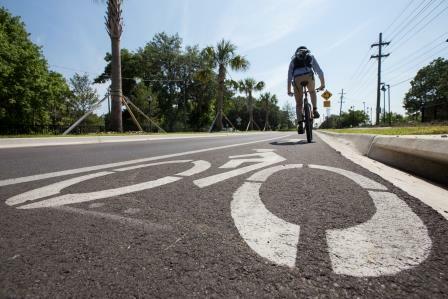 Check out Car Free Key West for information on options for biking in the city. The recently expanded Overseas Heritage Trail enables 106 miles of scenic bike travel for everyone in the Keys. The ‘other 98%’ of the county – our water resources – also provides for ferry service and boating options which can be quite enjoyable. Liz is the Extension Coordinator for UF/IFAS Extension, Monroe County in the Florida Keys.